A Year of Being Here: Max Reif: "To a Visionary Whose Name I'll Never Know"
Max Reif: "To a Visionary Whose Name I'll Never Know"
of snow had just begun falling from the black. leaning forward, poised to give. toward that person you saw in me. "To a Visionary Whose Name I'll Never Know" by Max Reif. First published in Tiferet: Literature, Art, & the Creative Spirit. Presented here by poet submission. To read more of Max Reif's writings, go to Faith of an Artist—The Writings of Max Reif. 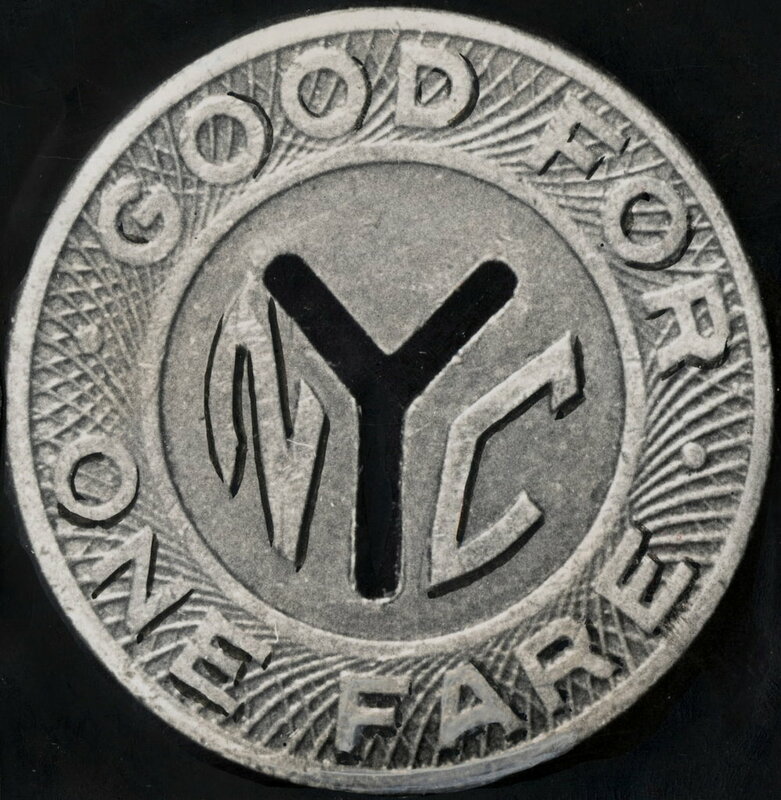 Art credit: Untitled photograph of old New York City subway token, presumably by Eric Sandstrom, published in "Good for One Fare," The New York Times (1/30/2013).